Those lucky enough to visit L.A.’s Lombardi House will instantly feel like they’ve been transported to another era. Its airy, sun-lit rooms and expansive lawn offer a mix of refined taste and old-school glamour, finished with a dash of hominess. It’s not surprising that Khloe Kardashian and Malika Haqq would choose this space as the setting for the launch of their brand-new makeup collection with Becca Cosmetics. Like the venue itself, the pair are surrounded by a sense of luxury and glamour, yet—as I soon come to learn—they still manage to remain warm, approachable, and inviting. If the stately facade of Lombardi House is their public image, then the illuminated windows and twinkly firefly lights are their genuinely likable personalities. If the expansive lawn and manicured garden is their penchant for glamour, then the cozy nooks and covered porches are their matching sense of humor. The first thing I notice is that regardless of what you believe or don’t believe about reality television, Khloe and Malika are unmistakably, undeniably best friends. Throughout the interview, they finish each other’s sentence and engage in the kind of light-hearted, comfortable banter that only comes from being in the presence of someone you feel completely at ease with. Case in point: when Malika sees the last-minute notes in my notepad—hastily jotted down in the back of a careening Uber on the way to the interview—and compliments me on my handwriting, she widens her eyes at Khloe, as if asking, “Don’t you wish?” Khloe responds with a shake of her head: “Honey, I couldn’t do that if I was sitting still!” They dissolve into laughter, and in that moment, they’re not celebrities, businesswomen, or reality TV stars—they’re best friends, pure and simple. From makeup blunders to what it’s really like to create a line with your best friend, keep scrolling to get to know Khloe and Malika. Q: Can you tell me why Becca Cosmetics was a good fit for your collaboration? 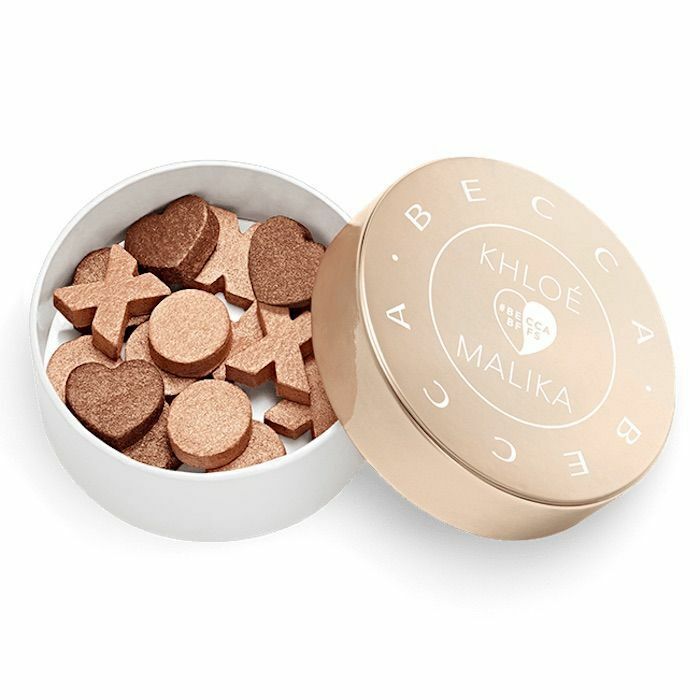 Khloe Kardashian: Becca has always been a brand that we used authentically. I love what the brand stands for. Since they’ve been created, they’ve always been a brand that has tried to include a multitude of complexion shade colors. I’m all about inclusivity and just making people feel good— women's empowerment and all of that. So it really spoke to both of us as women—especially when we are trying to create something for a wide range. We wanted someone who actually knew what they were doing. Q: Can you talk a little bit about the process of collaborating? What was that like? Malika Haqq: I feel like it was a really fun process for us because makeup is what we both love. So, you sit and get ready together and you play with makeup and you try on each other’s stuff and you figure out what works. To be able to come together and make something that was truly what we love and what we want to use when we get ready and do our makeup was really fun—it really was. There’s work and a lot of details that go into it…I had to learn a whole lot, but I loved the process and I learned that I was actually good at something else. Q: I’d imagine it’d be fun to work with your best friend. KK: It really is fun! I think people always don’t work with your friends or family, but I think if you come from a place of respect—and Malika and I have a great deal of that for one another—and also trust…I was just saying there’s no ego involved in her; this isn’t a competition. We’re both supposed to win, you know? We know that about each other, so if she tells me something or gives me some critique, I know it’s not of mal intent. Is she sabotaging me? No, she wants me to be better and vice versa. She knows the same for me. It’s not always delivered in the prettiest wrapping, but we get it done. MH: We receive things from each other probably in the best way, so it makes sense. KK: I’ll literally be like, "Malika that's so stupid, no." MH: And I’ll be like, "Fine, it’s so stupid." KK: It’s real and we each could handle it well. That takes years of a relationship together. 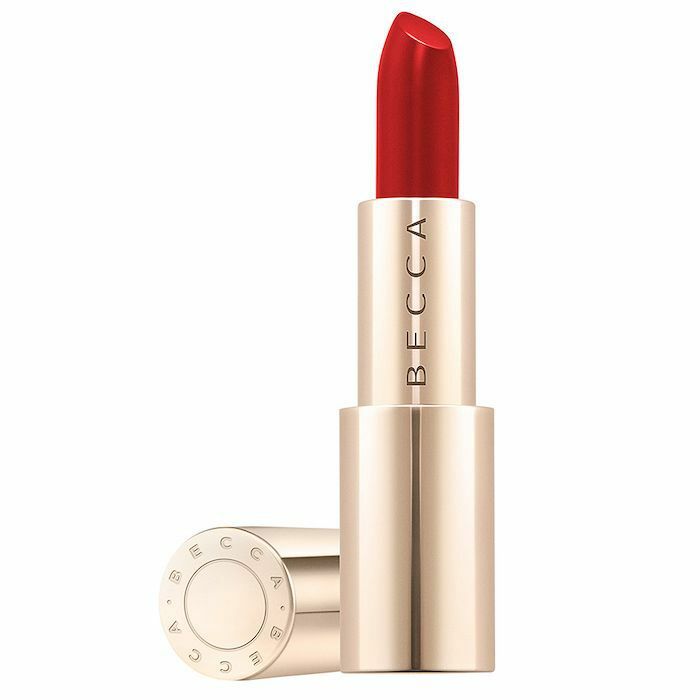 Becca [Cosmetics] was really easy to work with, because I come in like, "This is what I want, we’re doing it, blah, blah, blah." Very definitive. I’m just that type of person. Malika knows how controlling and crazy I am and she’s so great at dealing with me. She’ll have her opinions, but she knows I’m a tsunami coming in. Q: In what ways would you say your beauty styles differ? KK: A lot of ways. MH: Yeah, they do. Khloe is a lot louder than me and I mean that in the most loving way. KK: What do you mean? I’m very understated right now [laughs]. MH: She’s very fun and very vibrant and willing to take chances in all of those things. I’m a little bit more in a box. I’m more square than she is, but that's a compliment. I can help her tone it down and she can help me vibe it up. I think our collection reflects that. KK: I think our collection is so timeless and elegant, but it’s definitely a mirrored concept. It’s glitzy and glam in a subtle way—in a very classy way—and that was definitely a main focus. Q: Khloe, what is the most important beauty lesson you’d like to impart on True? MH: Be true to yourself! Oh my God, that’s so good for her: be "True" to yourself. KK: [Malika] is very corny. MH: I am very corny, but that just happened [laughs]. Q: Khloe, what’s one thing you think of when you think Malika and beauty? KK: How she does her makeup. She always does a professional job. I don’t know who’s done it, whether it was her or a makeup artist. Me, I don’t have that gift at all. Hrush, my makeup artist, will DM me and be like, "What’s wrong with your nose?' Because I don’t know how to do it the way they do. With Malika, it’s literally like a makeup artist, how she does her own makeup. It’s inspiring. I don’t have that light hand I don’t think. Q: What's the best makeup tip you've learned from Malika? KK: If [Malika] was at my house and wanting to get ready, she would take my eyeshadows and use them as blush. I think just not being so literal about my makeup is a tip I’ve learned from her. Just because something is an eye shadow doesn’t mean you have to only wear it on your eyes. That was something I always remembered as a teenager. Like, okay, just because I don’t have my makeup bag doesn’t mean I can’t still figure this out. Q: Was there a specific moment or situation that brought you together or made you realize this might be a friend for life? MH: I felt like that was the day that we met. When I met her I thought, did I just meet a very light-skinned version of my twin sister? That’s how I felt. I have an identical twin sister and I have a fraternal twin sister. That’s what it is. Q: How long have you been friends? MH: Maybe a couple months over twenty years but who’s counting? We’re old. Q: What was your first beauty memory with each other? Do you have any beauty rituals or products you swap? KK: —is that photo of you and I where we have baby blue eyeshadow up to our eyebrows. MH: I honestly think I was the only person in that photo with baby blue eye shadow. KK: Oh really? I was traumatized. MH: I had baby blue eyeshadow and you had the braids I had just taken out of your hair. KK: We were all wearing jerseys? It was just a bad time for us. MH: You had, like, a choker version of a turtleneck? It was a lot. KK: We’ve had a lot of beauty blunders, but you know what? It’s trial and error and it’s how we got to the way we are now. Who knows if in five years we will like what we have on now? We don’t know. MH: The thing is, we’ve evolved with time and we’ve just gotten better. MH: Back then, you couldn’t tell us that we weren’t cute; we wish someone had now. KK: You know some people that just don’t ever change? MH: They don’t ever change. I was stuck in my ways for a minute but it was more of a hair problem. KK: At least you’re not wearing baby blue eye shadow up to your eyebrows. Next, check out our interview with Kim Kardashian-West.